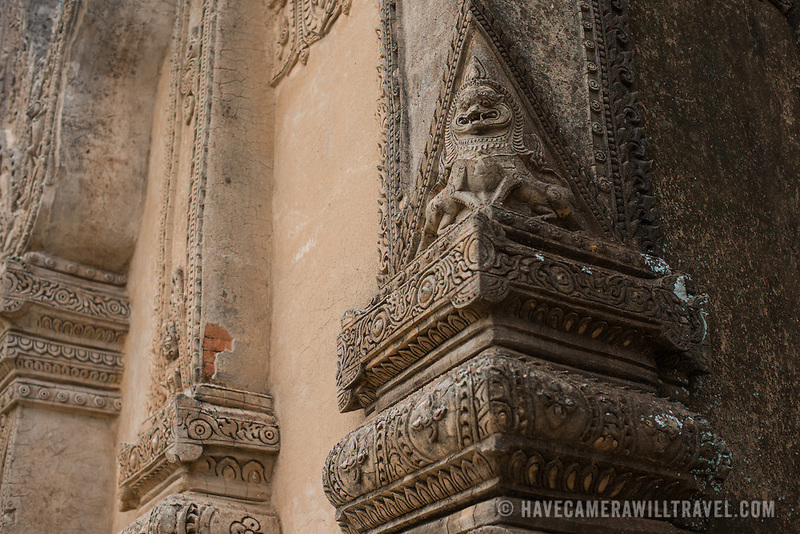 BAGAN, Myanmar - BAGAN, MYANMAR--Dating to the reign of Narathihapate (1256-1287), Tayok Pye Temple is located on the eastern side of the plain of Bagan near Minnanthu. Of particular note are intricate renovated stucco work and decorative paintings on the interior walls. It is also one of the handful of temples that are open to climbing onto upper terraces.